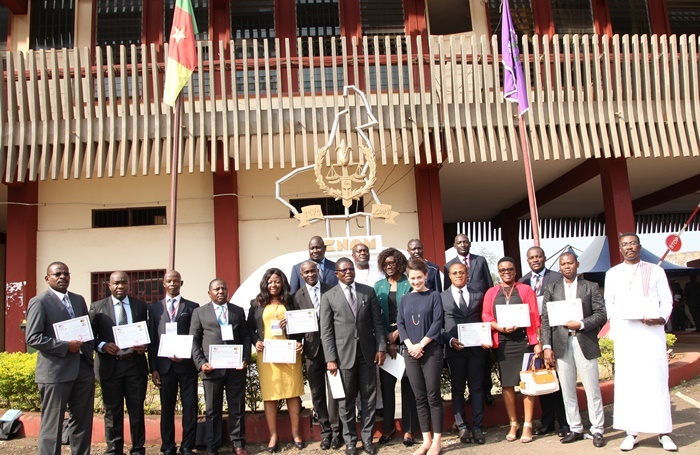 The Global Center and the National School of Administration and Magistracy held a first training series on the topic of good governance and access to justice in countering terrorism in Cameroon. The two-track training program was delivered to magistrates and civilian administrators from across the country over a two week period. The curricula were designed and delivered in partnership with the academic institution responsible for the continuing education of administrators and magistrates in Cameroon, with practitioners-experts drawn from diverse fields to facilitate specific modules following a training orientation held in May 2018. The trainings aim to equip practitioners, including divisional officers, mayors, judges, and prosecutors with a deeper understanding of the evolving terrorist threat in the Far North Region, the application of domestic and international legal frameworks, and for administrators, the management of conflict situations in a manner that complies with the rule of law and human rights obligations. Key recommendations deriving from the training, including those relating to the management of Boko Haram associates, will be submitted to the Government of Cameroon for consideration. The courses form part of a training suite for magistrates and administrators confronted with the threat posed by Boko Haram and ISIL and is funded by the US Government.